The minute Thanksgiving was over we rushed to get into the Christmas spirit. 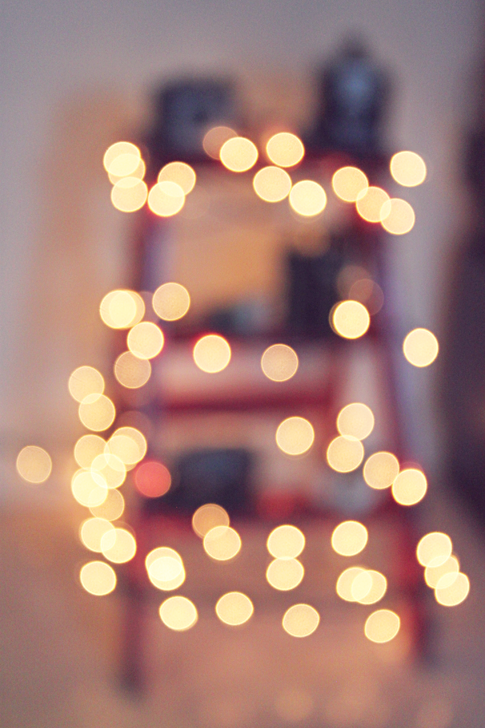 I'm so excited for this Christmas, it's the first of many with our little family of four. Don't forget Thrifty Thursday is this Thursday! I actually felt like decorating our tree last night. I didn't think I'd feel like it at all this year. Love the ice skates! 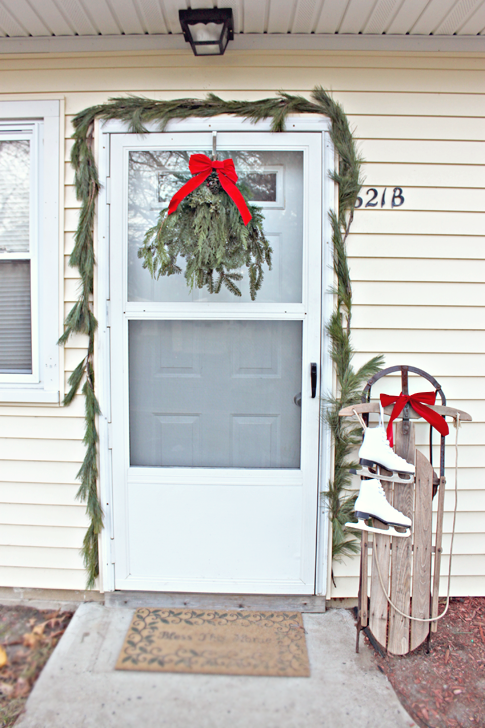 I incorporated them in my Christmas decor too! Cute! 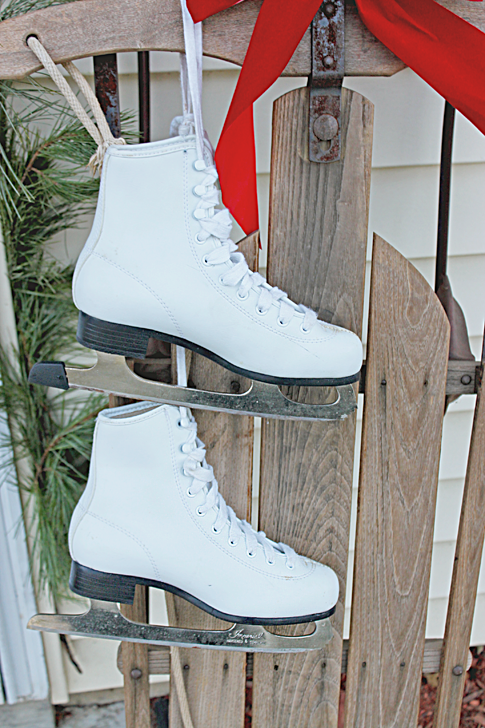 Love the ice skates, wish we had a white Christmas in New Zealand! 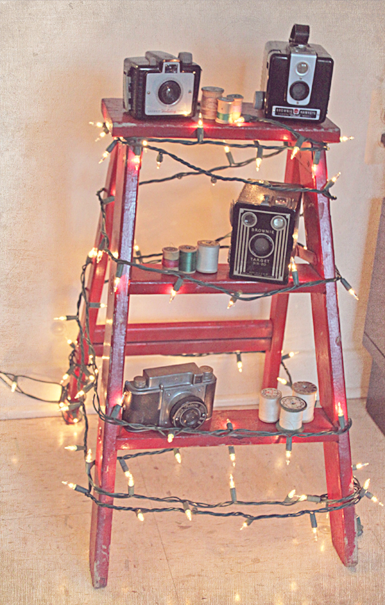 I'm diggin' the camera ladder tree. Way creative. 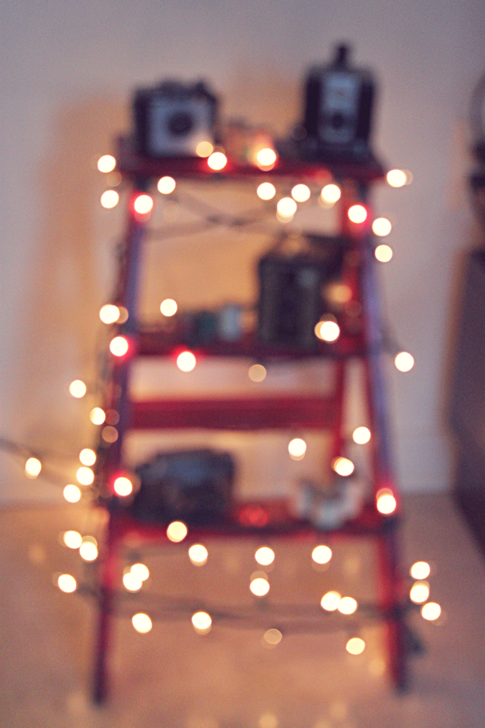 Lovely decorations :) I'm SO excited for Christmas! following from follow Friend Friday Link Up Party!